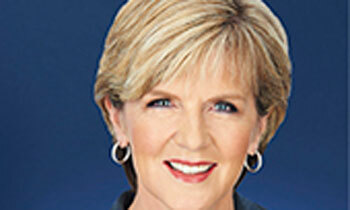 Australian Foreign Affairs Minister Julie Bishop, who is to visit Sri Lanka this week, will announce Australian assistance to combat dengue fever in Sri Lanka together with President Maithripala Sirisena, Australian Foreign Affairs Ministry announced today. She will also discuss the progress on the implementation of Sri Lanka’s reconciliation process, which is critical to its long-term security and prosperity. She said in a statement that she would visit India and Sri Lanka from 18-20 July to strengthen their bilateral, economic and security relations with two important partners in the region. “In Sri Lanka, I will meet President Maithripala Sirisena, Prime Minister Ranil Wickremesinghe, Sri Lankan Foreign Minister Ravi Karunanayake and other ministers to discuss security cooperation and explore new economic opportunities in science, resources and energy,” Ms. Bishop said.